Tree is holding an open book. Made from semi-transparent circles and vector based elements. It has a beautiful light yellow 3D background. Made from semi-transparent circles and vector based elements. It has a beautiful light yellow 3D background. Smooth movement between slides. Move, scale and rearrange and don’t lose any quality while zooming in, because all elements are vector based. Zoom in and add your own content anywhere. Duplicate and add more elements. 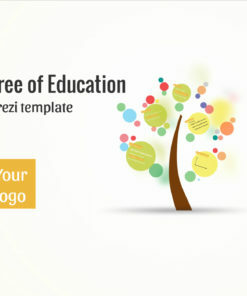 Add your text and logo, change a topic. 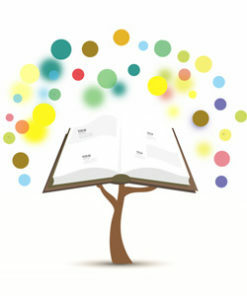 You can use Prezi symbols and shapes to add more illustrations to the content.